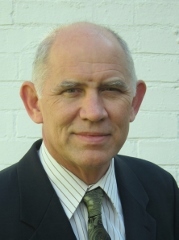 Research Interests - Kutter, Bruce L.
My core research areas are geotechnical earthquake engineering, including liquefaction and soil-foundation-structure interaction for shallow and deep foundations. Much of my recent research has focused on rocking foundations for bridges and buildings. I have begun working on a project called LEAP (Liquefaction Experiments and Analysis Projects), funded by NSF to develop a more rigorous protocol for verification and validation of numerical models used for liquefaction problems. I continue a broad interest in fundamentals of soil mechanics: scaling laws and scaling problems for physical model tests, rate dependent behavior of clays, softening of sensitive soils, and studies of the effect of interparticle forces on packing and relative density parameters. I also have continued to work on development of major geotechnical centrifuge equipment and development of sensors and instrumentation to monitor soil behavior in model tests.